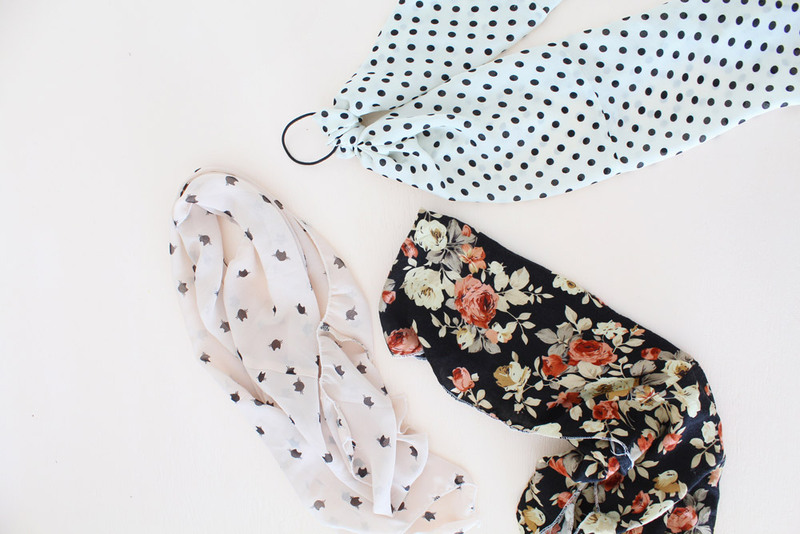 Something I’m loving so much at the moment are head scarves! Head scarves are such a cute and effortless way to add a lil something to any outfit, but unfortunately they are pretty expensive to buy considering they are just a piece of fabric. Today I’m going to be showing you how to sew some head scarves of your own by using your overlocker to make a rolled hem. Fabric (I’m using some old clothes that I no longer wear, as this project is a great way to recycle them into something new for my wardrobe!). An overlocker with rolled hem capabilities. Step one: Cut your fabric into a 95cmx35cm rectangle. Step two: Remove the first needle of your overlocker, and thread the wooly nylon into the second needle of your overlocker. Step three: Set up your overlocker for a rolled hem. Each machine has different methods for setting up for a rolled hem so be sure to read your manual, however you can see how I set up mine in the video below. Step four: Sew a rolled hem along all side of your rectangle. It’s that easy! Once you get your overlocker set up for a rolled hem you can whip up a head scarf in a couple of minutes. You can style your head scarves how ever you like, but my favourite way to wear mine is to tie one onto a hair band and put my hair up in a messy bun for a quick and easy way to style my hair. 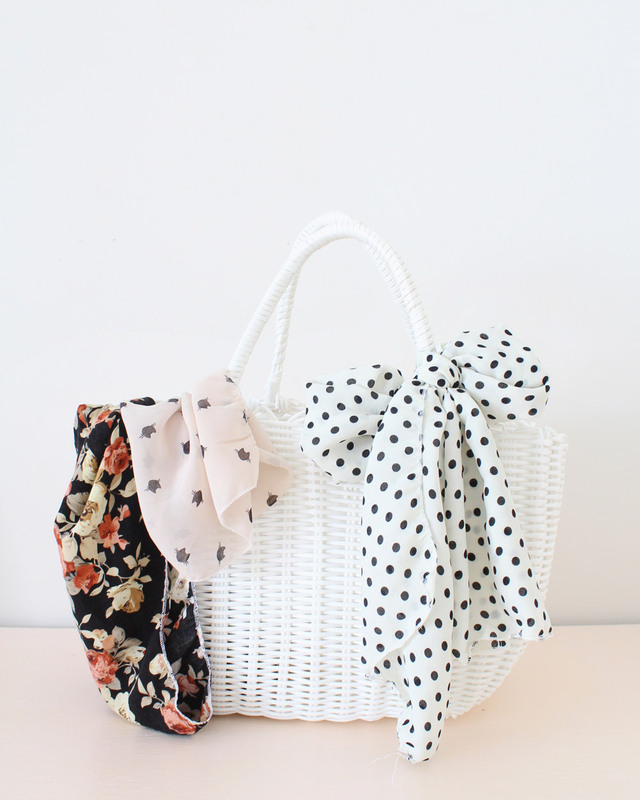 I also thing they look really cute tied onto a basket! I hope you enjoyed this little diy project, and if you have a go at making this for yourself please tag me on Instagram and use the hashtag #roserydiy as I would love to see it!